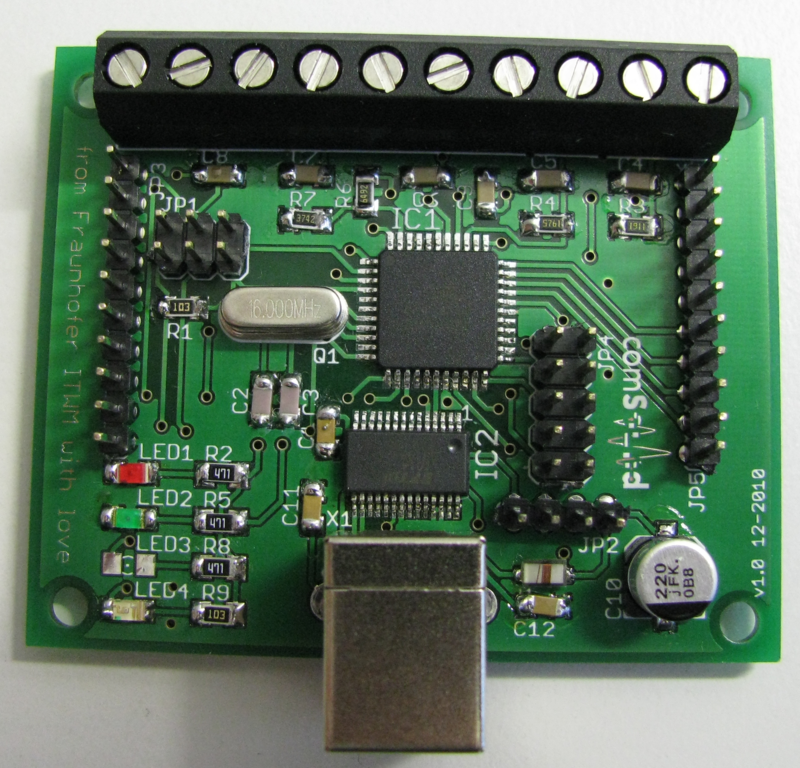 The Flukso USB development board is a small PCB, intended for development work. 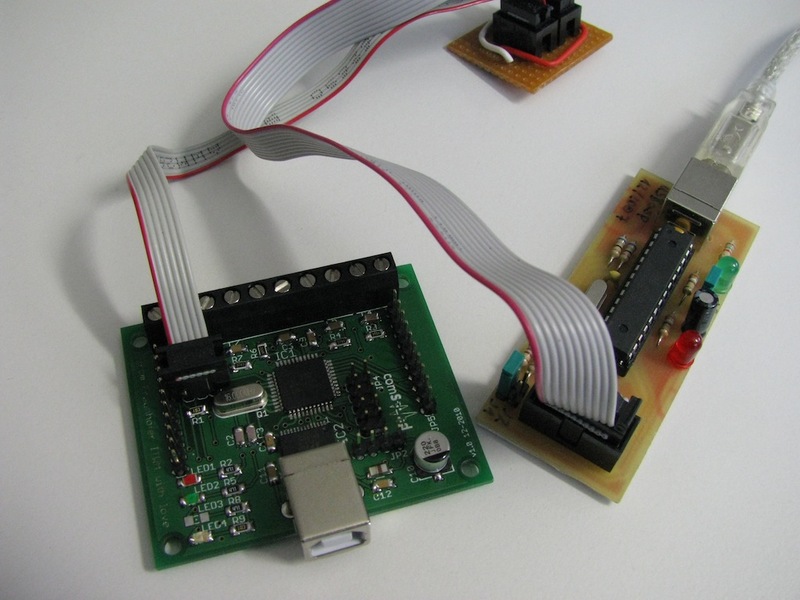 It reproduces all features of the Flukso sensor board, but has an FTDI USB-serial chip. It can be connected to any USB port. If you want to use a current clamp with the board: We use an J&D Electronics Split Core Transducer (50 A - 0-5V), Model no. JC10F50-V.
You need to be able to solder SMD components, I am using the “solder wick” method here (google is your friend). The components are fairly easy to mount. 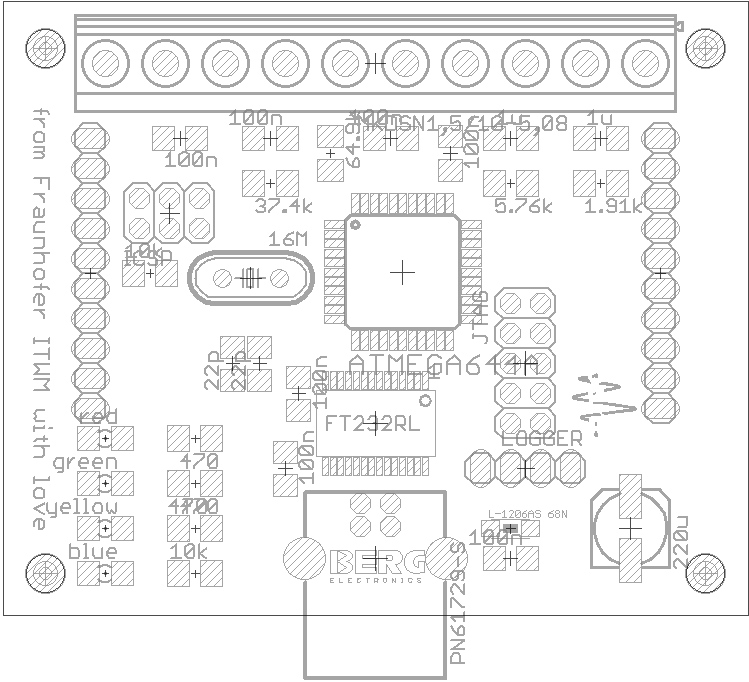 Start with the FTDI and ATMega644 components, then continue with the resistors and capacitors, then the crystal and the large cap, finally install pinheaders and the USB connector. Please be careful regarding the orientation of the LEDs, the GND side is on the left in the picture above. See also. The repository contains a folder “software” with an adjusted version of the Flukso firmware for this board. 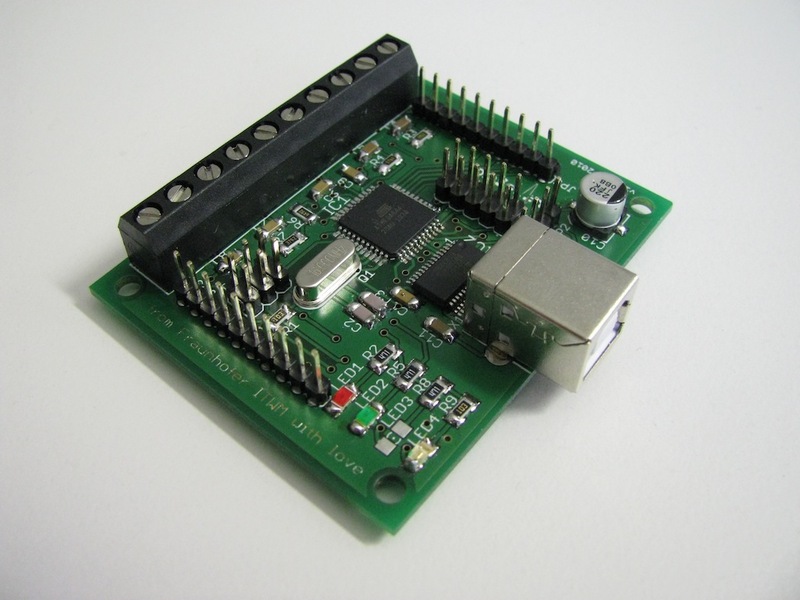 Mainly, the clock speed has been changed and additional adjustments to accomodate the ATMega644, since the original Flukso sensor boards are using an ATMega48. The firmware can be built by typing “make”. Please note that you might need to adjust the path to your AVR-GCC installation. The “make upload” target programs the ATMega, including setting the fuses (which needs to be done only once - the Makefile can be adjusted). Each second, a new pair of lines should appear - even without an attached sensor. The board fits nice into a TEKO A2 case, cutouts for the conectors can be made by cutting two slots into the cover on each side, then the remaining metal is bend to the inner, leaving a stable structure.